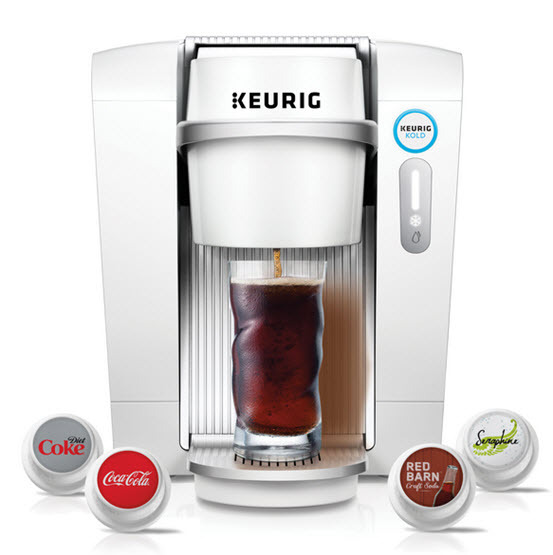 Keurig is pulling the plug on its cold beverage device called Keurig Kold. The company first introduced the device last year. Some of initial brand partners included Coca-Cola, Dr. Peeper, Canada Dry, Flyte, Flynn's Soda Shop and Tierney. The L.A. Times reports that Keurig is also laying off over 100 workers at its discontinues Kold. The Times says Keurig is also offering full refunds for the device. At $369.99, Kold had a much higher price tag that the Keurig coffee machines. There were also arguments that it did not save consumers as much time as a Keurig because it is easier to make cold beverages than hot ones. Keurig had hoped the device would be popular at cocktail mixers.